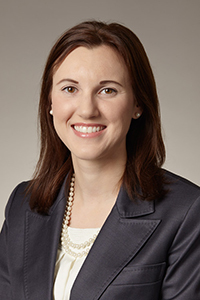 Selena Smith is a shareholder with Davis Grimm Payne & Marra. She has several years of experience representing public and private sector employers in labor and employment law matters, including with respect to discrimination, retaliation, harassment, wage and hour compliance, FMLA, ADA, reasonable accommodations, hiring and firing decisions, and related matters. Ms. Smith also has extensive experience representing and advising employers in traditional labor law matters, including collective bargaining, unfair labor practice cases, labor arbitrations, representation proceedings, union organizing campaigns, and strike preparation. Selena Smith is a member of the state bar associations in Washington and Oregon. Ms. Smith offers a proactive approach with her clients, providing day-to-day advice, training, and handbook and labor agreement guidance. In addition, Ms. Smith represents employers in litigation before federal and state courts and administrative agencies (including EEOC, NLRB, WSHRC, BOLI, and PERC). Ms. Smith combines her knowledge and experience in labor and employment law with strategic advice to fit her clients’ unique needs.